Hello and welcome to the September 2018 Washi Release Blog Hop and Giveaway. If you have arrived here from Amy Tangerine‘s blog, then you are right on track. Today, I will share two layouts here on the Scrapbook blog that I created with the new washi tapes from Altenew. I got to see them in June and have been anxiously waiting for them to arrive. I love them all. There are so many possibilities to create with them and they are simply beautiful. For my first layout, I used the Gilded Ombre and Glitter Flurries washi tapes. Take a piece of smooth thin cardstock and stick a strip of Glitter Flurries washi tape to it. Grab a cup of coffee or tea, watch your favorite series, and start fussy cutting lots of flowers. Once all the flowers are cut, take a patterned paper of your choice. I went with this lovely striped patterned paper from the Reflection Scrapbook Collection and added a strip of Gilded Ombre to the center. I also added two tiny strips of Golden Edge washi tape. Place the photo and assemble the flowers around it. Add some elements floating in a diagonal line. Stamp a title or use alpha stickers. I opted to use the Block Alpha Stamp and Die Set and used the same colors as the washi tape. Add some stamped sentiments. The ones on my layout are from the Say Cheese Stamp set. To finish off, I punched out some butterflies from the Gilded Ombre Washi Tape. You can see how I created the layout in the video below or watch it in HD on YouTube. For my second layout, I played with the Rainbow Stripes and the Painted Fantasy washi tapes. I love the bright colors and I can’t help but use flowers on everything (even layouts about my boys). 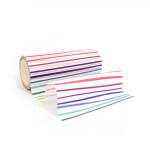 Add strips of the Rainbow Stripes washi tape to some smooth white cardstock. Cut out heart shapes using the Halftone Hearts Nesting Die Set. 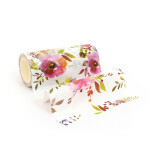 Cut out flowers from the Painted Fantasy washi tape. Arrange your hearts, flowers, and photo on some white cardstock until you are happy with the design. Adhere the elements to your page. For more interest and dimension, I used foam dots. This also makes it easy to layer the flowers under the hearts. Stamp a title. I did some ombre stamping using the Gradient Sunset Stamp Set. I LOVED creating with the washi tapes and I’ve created many more projects which are on my blog. To celebrate this release, Altenew is giving away a $50 gift certificate to 6 lucky winners! Please leave a comment on the Altenew Card Blog and/or here on the Altenew Scrapbook Blog by 10/3/2018 for a chance to win. Six winners will be announced on the Altenew blogs, three on the Card Blog and three on the Scrapbook blog, on 10/6/2018. Which washi tape has stolen your heart? I have several. Thank you so much for stopping by and taking the time to comment. Your next stop is the talented Vicky Papaioannou. Have a lovely day and happy crafting. Join our Sketch Challenge #11! So many beautiful opportunities with these Washi tapes. Great project ideas. I love what you did with the hearts and flowers! It looks beautiful! I love using washi tapes. Golden Edge is my fav here. Love these fun layouts! The glitter flurries is my favorite ? the tapes and the ideas are beautiful!! Oh my gosh, these washi tapes are so beautiful!!! Thank you Altenew! And thank you for the giveaway!! Fabulous! I really love the fussy-cutting detail. Lilthe, your layouts are so beautiful!! I can’t believe the versatility of these large washi tapes. I love how you’ve highlighted them so we can see the possibilities! Oh how I am in love with these new Washi tapes! Thank you for making more! Who knew washi tape could be so fun!? Wow I love how you used the washi tape on your layouts. Both are really beautiful! Wonderful layout pages using the washi tape! These are all fun and pretty layout. These rainbows is so cheerful but the purple is just delicate. Love these washi tapes!! Love these layouts!! 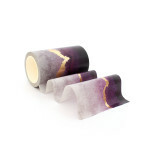 The transparency of the Gilded Ombre washi tape looks awesome with the lines from the paper peeking through. And the rainbow hearts!! FAbulous ways to use the washi tapes on these wonderful layouts. Love the wide washi tape. These layouts are great. The washi tapes are so colorful. Beautiful pages. My favorite from this release is the glitter flurries washi, and your sample using it is gorgeous. Altenew has done it again! Another stunning release in the books! This is such a small thing, but I love how the gilding in each of the washi tapes matches. 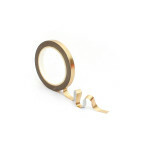 There’s nothing so frustrating to me as planning on using “gold” washi tapes, only to find out that each one is a different shade of gold from brass to copper. It makes these tapes so much more effective so we can combine them on projects. And I thought my favorite was the milky way washi, but I’m really becoming enamored with the gilded ones the more we go along. Thanks for sharing! The glitter flurries and painted fantasy washi tapes have stolen my heart! 🙂 I love how the purple of the Gilded Ombre tape matches the flowers! It’s so hard to choose as they are all pretty awesome! But I guess the first two I would have to get is Gilded Ombre and Pixel. I love how creative you were with the washi tape. Thanks for sharing your pages as they turned out awesome! I’m totally in love with the Nebula washi tape, but the gilded purple one is running a close second.. Oh, why are they all so beautiful? Can’t wait to get my hands on the new washi tape. I love how it can make a quick and easy background! So many beautiful and inspiring projects. Thanks for hosting. I love these! They are beautiful! Lovely layouts! I love that ombré purple and gold tape; it is really gorgeous. Thanks so much for the inspiration and for the giveaway. Like the ombre tapes. Thanks for a chance to win. Wonderful layouts and colors! Can’t wait to see how they match the watercolor paints! Always could use more inspiration for male layouts! these are perfect! Thanks!